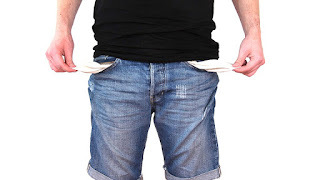 Home Financial Tips Jobs Are You Being Underpaid? Studies suggest half of Americans believe that they’re underpaid. There are lots of ways to find out whether you truly are being paid less than you’re worth. Here are just a few checks to make before demanding a pay rise. Salary calculator sites such as Salary.com are a good point of call for finding out exactly how much your role is worth. After entering your job title and your location, this site compares the salaries of other workplaces so that you can see how much other companies are paying their staff for the same job that you’re doing. This could help you to build a rough average of what you should be earning. Job adverts can be another great place to see what other people in your role are being paid. You may also be able to compare other perks such as bonuses and commission. You may even find an ad belonging to your company so that you can see whether other employees within your organisation are being paid differently to you. In some cases, you may be getting paid less than you legally deserve. Many people don’t realise that they should be getting paid for the likes of overtime and breaks under 20 minutes according to the FSLA (Fair Labor Standards Act). There are lots of sites out there that can provide FSLA help so that you can gain a better understanding of your legal rights. Remember that age can make a difference too. It’s possible that other people within your workplace doing the same job as you are being paid differently. Be careful of asking others what they’re earning as it may not always give you the full picture. There may be reasons as to why some people are getting paid more than others that could be to do with previous credentials or out of hours work. Other people may lie about their salary when asked. Some employers may have rules against discussing pay with other colleagues. You certainly shouldn’t spark an open discussion and probably should keep it to a one-on-one discussion in private with a colleague. Those that feel underpaid generally feel undervalued in their job. You may feel that you’re taking on a lot of responsibility within your role that deserves to come with a bigger pay check. If so, it’s worth talking to your boss to discuss why you’re being paid the amount that you are. In some cases, employers may be waiting for you to consult them for a payrise rather than initiating it themselves. When negotiating a pay rise, be careful of using evidence of other colleagues’ pay or the wages that other companies give their staff. Your boss could see this as a personal attack and be less inclined to give you the payrise you deserve.